Union Beauty SC8801 Styling Chair - Features soft PVC vinyl upholstery covering dense foam cushion that will last for years. 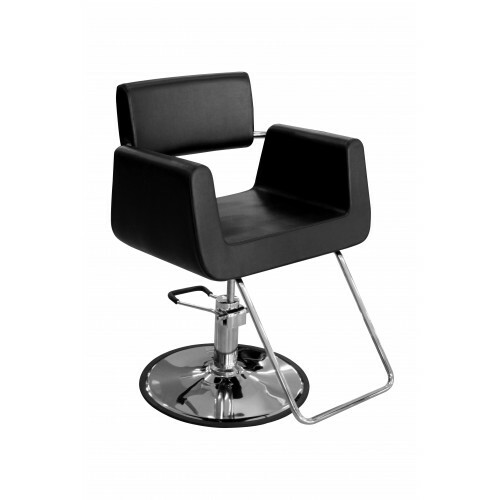 The clean lines will fit in with any salon décor and make this styling chair easy to keep clean and beautiful. The chair will rotate 360 degrees, has a elegant U-shaped footrest, and sits on a contemporary round base. Outside arm to arm: 26.5"
Height adjustment: 20" to 25.5"